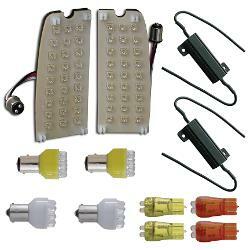 New Exterior LED Bulb Kit w/Board Style Tail Light LED's for 70-77 Classic Ford Broncos. 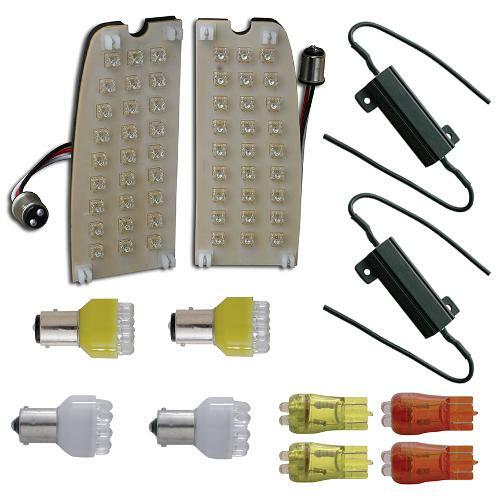 This kit includes new LED bulbs for your front turn signals, side marker lenses & reverse lights as well as our NEW Board Style LED Tail Light Conversion for the rear tail lights. Also includes two load equalizers to correct any potential flasher issues caused by the fact that the LED bulbs will draw quite a bit less electricity than the factory bulbs. These LED's provide a very bright, crisp light making your indicators easy to see by other drivers. Better looking and safer than factory bulbs.